A black executive was allegedly overlooked for a promotion, while the post given to a white executive who already had three jobs. Retail banking giant Absa cannot get enough of a certain Mr David Hodnestt, according to the Black Management Forum (BMF). BMF alleges an experienced black executive at the bank, Mr Phakamani Radebe, was recently overlooked for a promotion to the position of head of corporate and investment banking (CIB). Instead, the bank opted to appoint Hodnestt temporarily. Hodnestt currently holds the positions of deputy group chief executive and is the CEO of SA business operations and heads the retail and business banking division. The black business lobby group says that when the announcement was made, there was “a walkout of black professionals at Absa Capital’s staff meeting”. 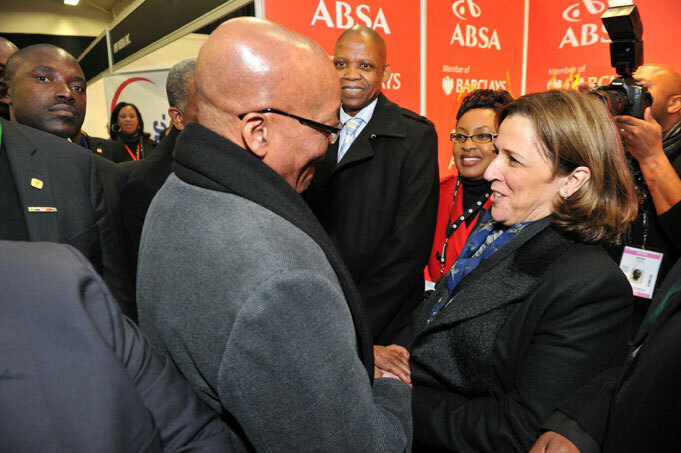 Absa is headed by Maria Ramos, former CEO of Transnet and former director-general of Treasury. The BMF reported it had met with Ramos on Thursday “to understand the circumstances surrounding Hadebe’s resignation and to discuss the broader lack of transformation at Absa”. The BMF is understood to have registered its dissatisfaction with Absa, among other issues, over “dismal Board and Exco representation of black executives and the general lack of transformation in senior teams managing key Absa business units”. Hodnestt [was raised]. We asked if Absa had no other [black] executives to fill these roles and whether [the] South African Reserve Bank is comfortable with Mr Hodnestt’s many roles,” according to the BMF’s head of communications Anele Ndlovu. Ndlovu further told The Citizen they had raised the issue of a “growing trend in corporate South Africa’s apparent preference of foreign nationals over South African nationals and black South African nationals in particular”. The BMF said the meeting had agreed to a “more detailed follow-up engagement with Absa’s executive committee to delve deeper into transformation issues within the organisation”. not be victimised in any way”, with the BMF monitoring developments at the bank.